In order to study the effects of different land vegetative covers on soil quality attributes, a loess hill slope was selected in eastern Golestan Province, Ghapan watershed, Iran. 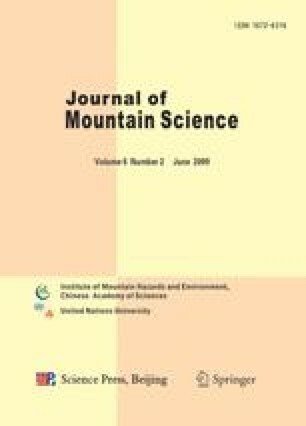 Four profiles in four land uses, including Quercus natural forest; Pinus artificial forest; Cupressus artificial forest and a cultivated land, were studied. Results showed that MWD was significantly different in the studied land uses, and it varied between 1.6 mm in Quercus natural forest and 0.31 mm in cultivated land use. The lowest CEC, microbial respiration rate and organic carbon were 28.4 cmol·kg−1, 177 μgCO2·g−1·day−1 and 1.32 % found in cultivated land use, respectively. The organic matter content in the forest areas was considerably higher than that of cultivated land use. The studies on soil profile development revealed that the natural forest soils were highly developed. The soils of the Quercus natural forest were classified as Calcic Haploxeralfs with a well developed argillic horizon unlike the cultivated soils which showed the minimum development and classified as Typic Xerorthents. The soils of the artificial forests had both mollic epipedons and were classified as Typic Calcixerolls with moderate profile development. Micromorphological studies revealed that argillic horizons had speckled and partly crystallitic b-fabric in the natural forest indicating the high landscape stability. In contrast, the crystallitic b-fabric of other land uses shows the absence of enough leaching of carbonate and the subsequent migration of clay particles indicating the unstable conditions and high soil erosion. Intense erosion of the surface horizons of cultivated land use has resulted in the outcropping of the subsurface carbonate rich horizons preventing soil development.